The networking process creates interdependency between computers, servers, network services and users. Companies that fail to monitor the health of their network may experience lower productivity, decreased inter-departmental communications and severe disruptions in customer service. Network monitoring provides oversight to the comprehensive operational network systems through the implementation of a set of specialized software tools. Solutions for network monitoring are provided to ensure uninterrupted service availability while enhancing the performance of the hosts (servers) and other network components. Monitoring systems are most often implemented in large scale IT environments, but small businesses, IT managers, and even individual networks can take advantage of freeware network monitoring options. The health of a network system is determined by its overall effectiveness. Monitoring software continually examines and identifies bandwidth, traffic bottlenecks, memory utilization, hard disk storage capabilities, and CPU efficiency. Through regular operations, the system will send continual messages through the network to verify that each server is compliant with the requests. When the system detects abnormalities that occur outside a set of pre defined parameters, alerts are created and sent to specific locations to notify the appropriate administrator. Triggers would include slow or atypical responses or any other unusual behaviors. Integration: This is perhaps the most important aspect of selecting a freeware network monitoring program. The software should be able to seamlessly integrate with a variety of routers, IP switches, firewalls and different operating systems such as Linux and Windows. Most companies use different technologies from numerous manufacturers, and the monitoring system should be compatible with every component in the network. Visualization: A quality monitoring package should provide clear, visual dashboard representation of all monitoring functions. This provides a comprehensive overview of the complete network functionality and infrastructure all within a single screen environment. Reports: Systems should offer deep analytical reporting of network processes in both real time and historical context. Scalability: The ability to scale the package provides companies with flexibility as they decide to expand operations, load balance servers or add additional facilities. As the demand for server resources grows, the task of implementing new software becomes problematic. Packages that offer expansion capabilities, even if they require future cost investment, are worth considering during the initial implementation of the monitoring system. Auto Discovery: Network monitoring programs that do not include auto discovery require manual configuration for every component that must be tracked. This process can be time consuming and disruptive to the monitoring process. Auto discovery recognizes the network configuration and facilitates the servers and other devices automatically. Servers Alive: Servers Alive provides a host of network monitoring tools from simple ping tests to complex SNMP checks while tracking Windows performance monitoring. It includes a wide array of options and even allows for writing custom protocols through a simple COM interface. A flexible alert engine offers system alerts in real time that can be simultaneously sent to multiple teams and customized to follow individual schedules even when the contact method is changed. Data is easy to see and interpret with the graphical interface which uses the industry standard Round Robin Database (RRD). Mon.itor.Us: Mon.itor.Us is an online based network monitoring service that eliminates the need to install and adapt intricate software or spend time maintaining the monitoring system. It is a hosted service that is free, and uses the “software as a service” approach to provide cost and ease of use benefits when compared to the traditional software model. Networks are monitored 24/7 including CPU, hard disk, memory and intranet resources. The system also provides website monitoring functions for tacking traffic and other vital occurrences. Zabix 1.8.2: The Zabix package is available as a freeware download. It provides monitoring of networks, servers and applications. Notifications are flexible and can be easily configured based on pre defined parameters. The software has auto discover capabilities and offers dashboard graphical representations. It is also highly scalable and is a true open source platform. 100,000 monitored devices and 1 million metrics can easily be accommodated. Both training and upgrade services are also available. Munin: Munin monitors a variety of network components and presents the data in graphical form through a web based interface. It is highly scalable and is a true plug and play system. Munin uses a master and node architecture where the master connects with the nodes at predetermined intervals and requests specific information. The data is then recorded and represented in updated graphs to illustrate any system anomalies. Munin can monitor CPU usage, memory, and certain server applications such as Squid and Apache. Spiceworks: The Spiceworks platform provides complete monitoring of all network functions. This includes everything from server performance to an alert for low printer toner. A detailed Graphical interface and refined charts specify bandwidth usage for any network device including routers and other network interfaces. Multiple alerts can be configured to present a variety of information to numerous people simultaneously. Collectd: The Collectd system is a statistics based platform that uses the resulting data to identify bottlenecks and predict future system performance. The program is written in C which provides significant portability and allows it to run on systems without scripting language. Collectd is also available with over 90 plug-ins for extraordinary flexibility. BMExtrene: BMExtreme monitors bandwidth consumption while presenting data in a graphical format. LAN traffic can be shared or ignored and service provider bandwidth limits can be effortlessly tracked. BXextreme is a freeware package that is appropriate for a single user, a home network or corporate server environment. Solarwinds: Solarwinds offers a freeware network device monitoring program that provides availability statistics and real time performance for any component included in the network. 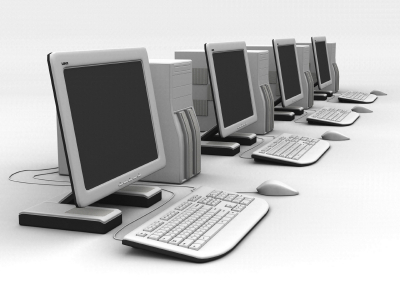 The package offers a number of ready to use monitors for a variety of common network devices. Custom monitoring templates are easy to create and the dashboard affords clear signals when a device is malfunctioning. Custom MIBs can be compiled for SNMP enabled networks to monitor significant statistics for virtually any device. Operating a sophisticated network without monitoring software invites sluggish system performance, bottlenecks and inefficient use of resources. With numerous network marketing freeware programs available, implementation and optimization of network resources is remarkably simple and very cost effective. Hi, could you add Pandora FMS to your list?